A green-thumb, conservationists dream, Gardens By The Bay is situated adjacent to the Marina Bay Sands* and is home to various environmental attractions, such as the Cloud Forest, Supertree Grove and the Flower Dome. Spanning 250 acres, the park hosts approximately 8.8 million visitors per year, with 20 million visitors being its highest ever recorded visitor count in 2015. More than just sheer novelty, the park is set up as an eco-initiative by the Singapore government to help transform Singapore from a "Garden City" to a "City In A Garden". 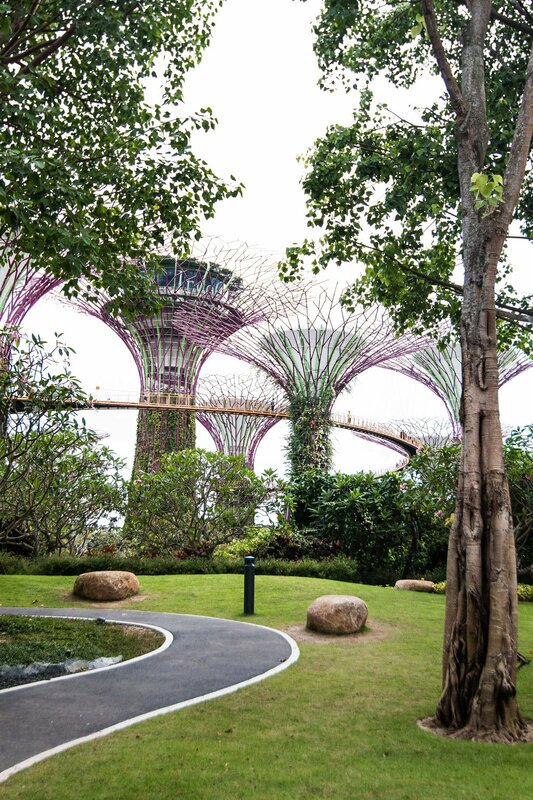 With exhibits delineating the importance of protecting nature, while displaying the global impacts that humans have had on the environment, the Gardens By The Bay ecopark is both astounding and educational. A shining example, leading the way in renewable, green energy systems, the Supertree Grove actually collects solar power to help support the energy needs of the ecopark; thus, demonstrating the efforts and importance that Singapore places on developing and implementing sustainable green energy systems!